Get ready for a fashion revolution coming your way this summer with Hiz & Herz Jeans – A blend of style and trend with a social touch. We promise you will love the fit, quality and style of our Jeans. The first few lines sum up our brand philosophy which is to unite the youth and create awareness on the issue of gender equality and to educate the youth to work together. Our brand logo with the gender symbols, talk about the idea of men & women coming together for a better future. The use of bold brand colours depicts how strongly we believe in the cause. 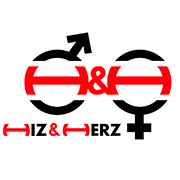 Hiz & Herz Jeans will be primarily catering to the peculiar taste of the Gen Y fashion with its denim Jeans and colourful T- shirts with bold prints. For the launch, we will be selling printed cotton T-shirts for males and females in different designs and prints. Hiz & Herz is a fashion with a cause and hence our clothing will strongly voice our ideology with its perky but meaningful messages on the Tees in vivid colours. For the Jeans, we are offering Skinny Fit Jeans and Tapered Fit Jeans for men and women since they are the most “in” and preferred fits. Also, our color palette will stick to the basic Blue, Black and Grey. We have looked at all costs to try to keep our clothing line affordable without compromising on fit, style and quality. Watch out for the denim fashion getting a sassy makeover with Hiz & Herz Jeans as we have designed jeans with different washes and styles with one unique style being overlap back pockets to enhance the entire look. And what’s more is that each of our Jeans and Tees have their unique names. Exciting, isn’t it !! ( We knew it ). So empty your closet of the fashion that’s so passé and make way for Johnny, Billy, Stella and everyone else from Hiz & Herz Jeans. Hiz & Herz will launch as an online store and will sell to INDIA to begin with and will continue to add products and countries it services, with Canada being its next top priority. We are currently looking at finding an NGO that is in line with gender equality or the brand will take some action itself to build education and awareness of this issue and try to do what we can to make a difference. We invite anyone who has any ideas about this or wants to assist us with this to send us a mail on our contact form and share your thoughts. Hiz & Herz Jeans is a brain child of Reena NeGandhi, a Canadian national with Indian roots from an extensive fashion background. She grew up in organized retail in Canada and worked for many top international brands including her biggest success being with Aldo Shoes and Guess Jeans. Today is very exciting as her dreams are about to become a reality and with the help of her strong teams she will be launching her fashion label with a cause, HIZ & HERZ. Hope you all enjoy this journey with her and can help support this cause.